Did you know that June 15th is World Tapas Day? Tapas, pintxos and pinchos. Confused by the difference in these three plates in Spain? Here’s an easy explanation including what’s free! 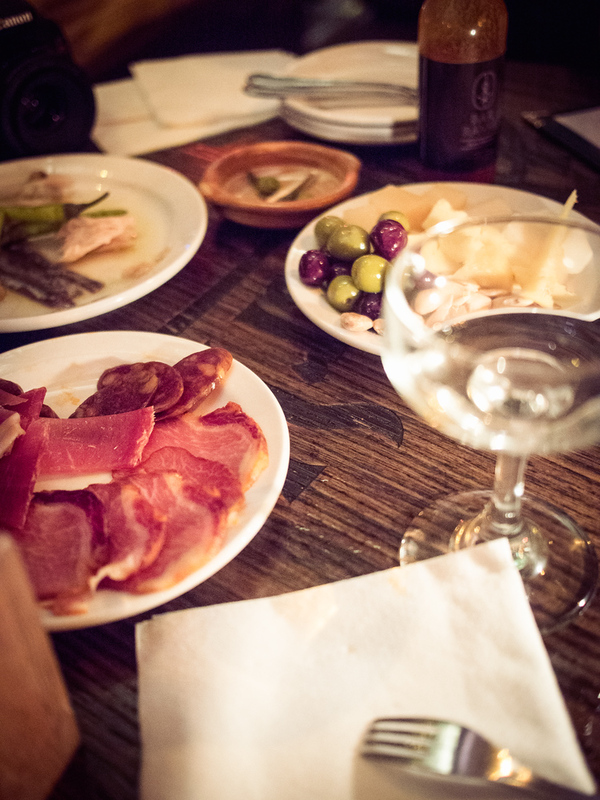 Last Monday, I sipped cava and ate pintxos at Bar Raval in Toronto. 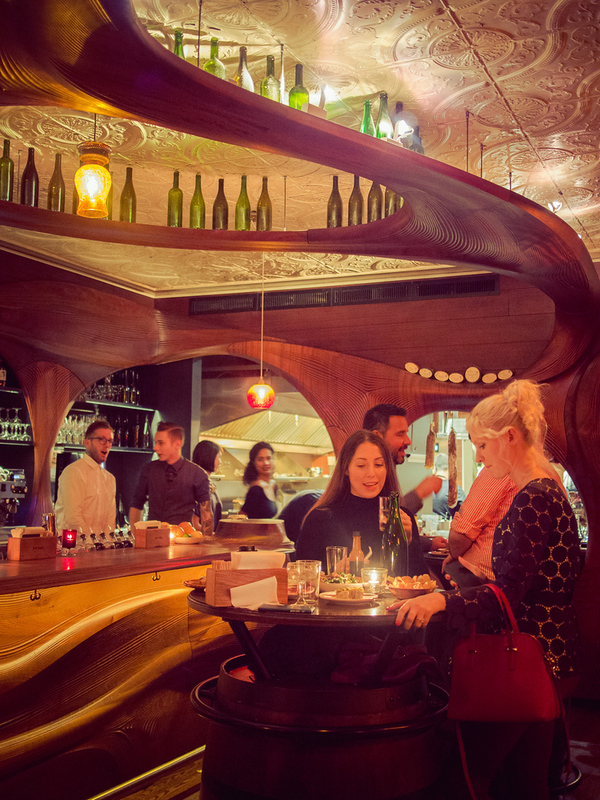 This Gaudi-esque bar may be one of the most interesting bar interiors in Canada. Open from 8am – 2am I usually only go during the day, at night it’s so popular you can feel packed in like a sardine. 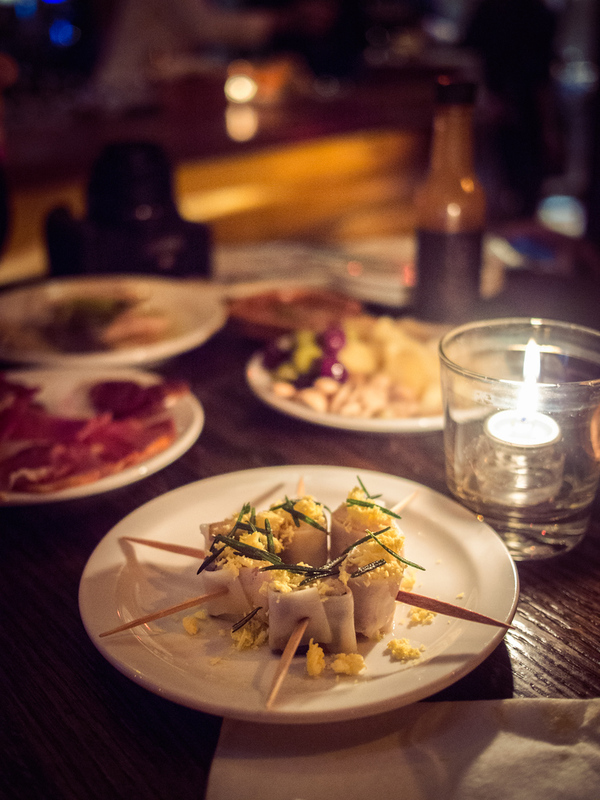 Bar Raval has all the great things I remember about Spain – of the pintxos – the cured meat, octopus, olives. 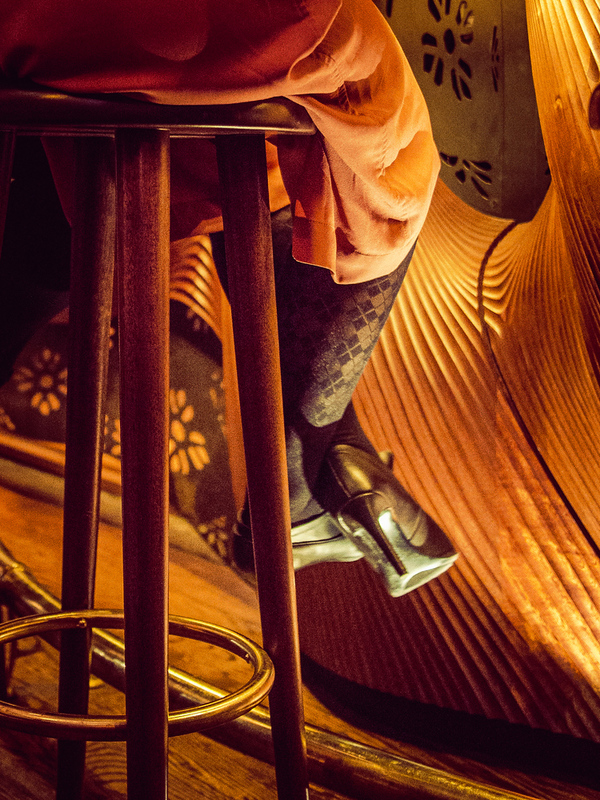 But I’ll admit I do love that it’s a bit Canadian – which means there are a few stools for us fools who wear heels. It’s like taking a holiday to Europe, except it’s up the road and afterwards I get to sleep in my own bed. It just may be the best of both worlds. It also reminded me how confusing eating and drinking in Spain could be, so I wanted to share what I’ve learned about pintxos, pinchos and tapas – all amazing but so different depending where you are in Spain. I’ll try to demystify it as best as I can. Spain is a complicated country and so Spanish food is very diverse to the point of being very political, particularly in the northern regions. 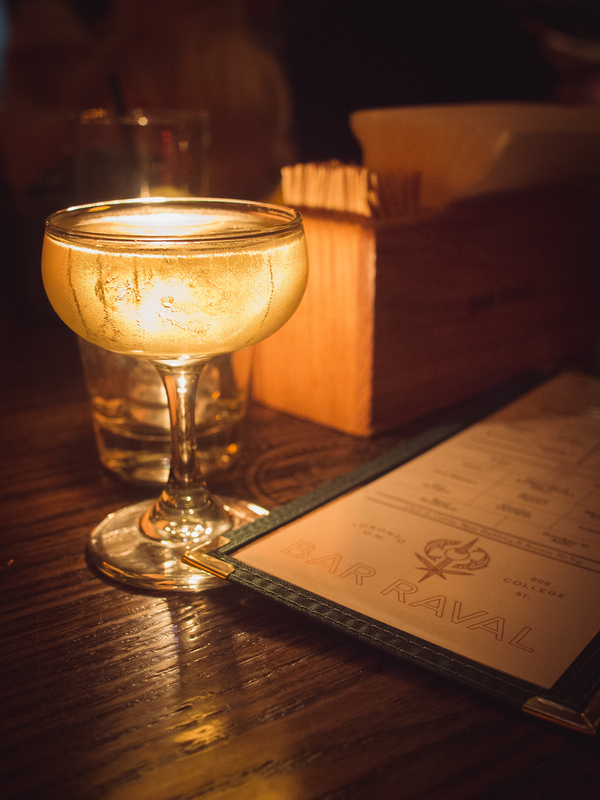 For example, Bar Raval was inspired by a neighbourhood in Barcelona, which is part of Catalonia, which is a region that has been vocal about separating – it’s often compared to Quebec in Canada. Catalans speak a different language (Catalan) and have quite a different culture and while separating has become a quiet/non- issue in Canada it is really heating up in Catalonia. 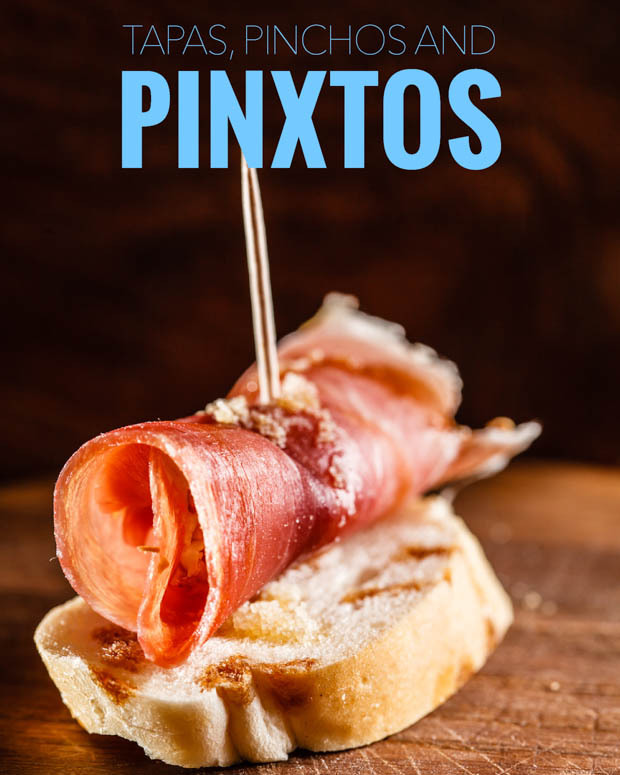 Basque Country is also in the north where people speak Basque and while it’s a neighbour of Catalonia, you won’t find tapas but instead pintxos (peen-shows) – any many other words with an X replacing the CH sound. And then throughout Spain depending on where you visit you’ll find tapas, and pinchos in southern Spain. This is where the simplicity ends and even Spaniards will disagree. Some say tapas are free but don’t assume this is the case as it’s not always true. If your waiter brings a small plate of food with your drink, you can trust it’s free. However, if you see bites of food on a bar it’s 50/50, if you don’t see accompanying plates ask the bartender. And if he hands you a plate it’s free, if he asks what you want it comes at a small fee. However, pintxos are never free. Just keep your plates and toothpicks as servers use these to count your bill. 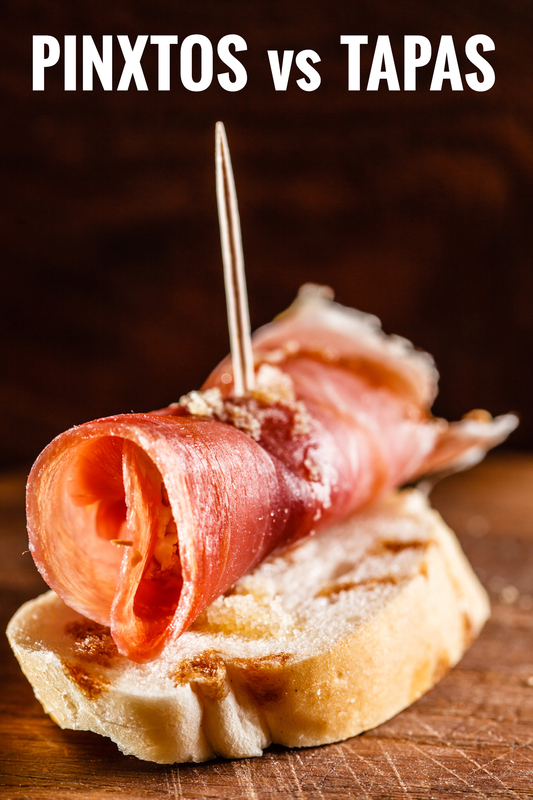 In Salamanca, just northwest of Madrid you’ll find pinchos, which is meat on bread, without a stick. These are free. In Granada and Leon tapas are served at bars, sometimes on bread and sometimes not. 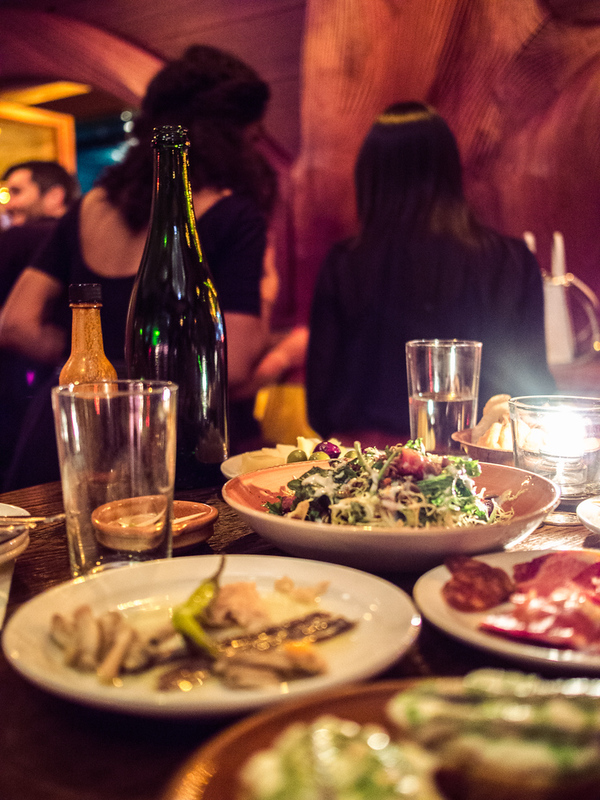 The waiter will bring one with your drink and as you drink more each tapa will be different – and free. In Seville, all small bites of food are tapas and they are not free. There is a legend that tapas were invented by Spanish King Alfonso X ‘The Wise’ who ate small bites of food with wine between meals but practical Spaniards will tell you that it more likely arrived as a practice for field workers who needed to eat before the famously late dinner in Spain that could be as late as 11pm. Now it’s common to “tapear” or meet after work for a drink and bites to eat, catching up on the day. Because the plates are small the focus in on conversation rather than getting through a big meal that kills conversation. As for pintxos, no one know what came first, did the Basque invent pintxos first? Did tapas comes first? No one seems to care they are too busy enjoying. 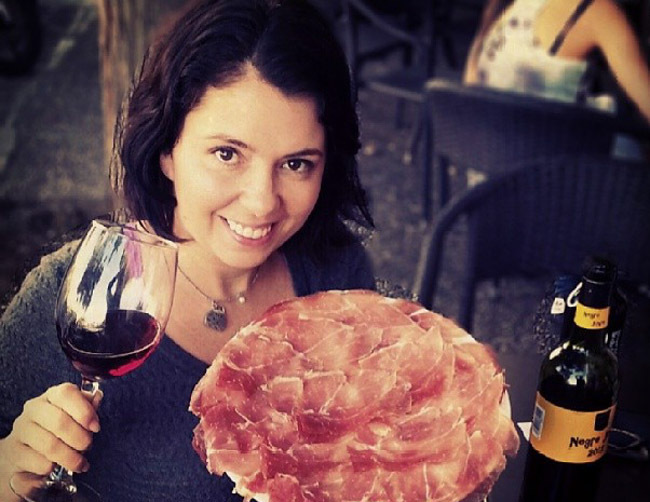 Similar to aperitivo in Italy but in Basque country the bar-hopping ritual is called txikiteo. You simply order a drink and help yourself to the pintxos on the bar…except it’s not free. It’s part of the honour system and when you close your bill you tell the server what you’ve had. The dishes are seasonal so beware that not all are a few Euro. If you order a specialty, like wild mushrooms, be prepared to pay. You’ll find them at a bar and you will stand either at the bar, top of a barrel or at a high table. The most famous are pintxos in San Sebastian, especially on the Parte Vieja cobblestone road. Here you can take from the bar or order fresh ones from a menu. But many cities have tapas or pintxos streets. Don’t be afraid if a bar looks dirty. It’s tradition to throw your napkins on the ground. And in some places other things like empty mussel shells are also tossed on the floor. Pintxos are based on the honour system so keep track of what you ordered. Most of all remember to pace yourself. Part of the fun is going on a pintxos crawl, friends meet to have a drink, eat a few pintxos and then move onto the next bar. Phew, complicated right? Here’s my best advice, just ask a local. it’s a great way to start a conversation. I didn’t know the difference, and now I’m glad I do, though I can tell it can still get confusing. I absolutely love this style of eating, though, and now I want to go back to Spain! I loved the article! I’m from San Sebastian, Basque Country… and yes, sometimes it might be a little confusing when people talk about tapas, pintxos, etc..
Pintxos usually have a toothpick on them, and are smaller.. it also depends on the region.. in the Basque Country.. tapas are usually bigger than pintxos.. you can eat a pintxo with your hand, but you need to eat from the plate when it comes to tapas.. that would be the main difference, at least in the basque country. In Andalucia tapas are for free in most places, with the exception of Seville as you mentioned.